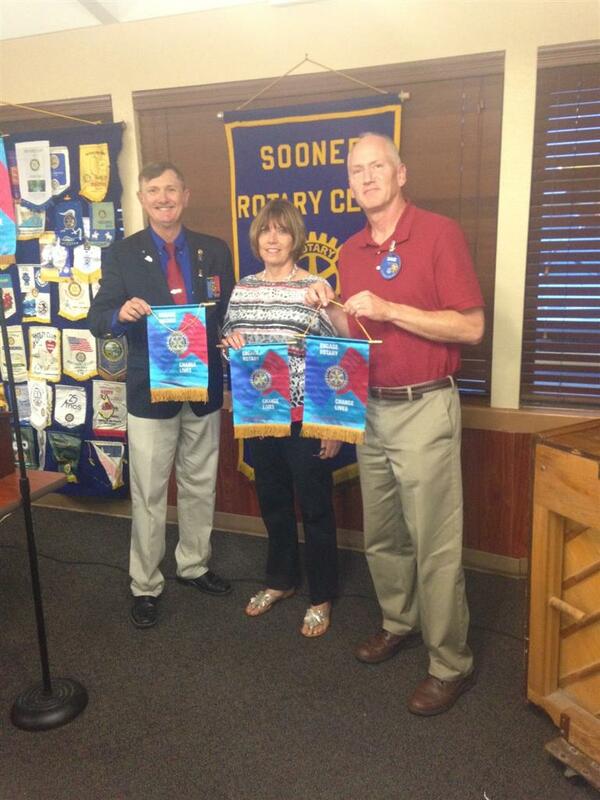 District Governor Terry Godfrey shared information with the club this morning. He shared a video encouraging Rotarians to come to Sydney, Australia for the 2014 Rotary International convention. He also, shared important information regarding the Rotary Foundation and its important work in the world. District Governor Godfrey encouraged each member to become a sustaining member by making a donation to the Foundation. The club sang one of our favorite songs, "Home on the Range", and the District Governor howled along with the best of us! Kevin Murphree offered a "Membership Minute".